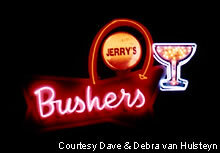 Bushers in Sacramento is a night club that glows like only night club signs can. The martini glass still shows the bubbly from the champagne gas in it. 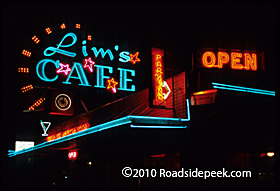 Lim's Cafe in Redding features a nice working neon sign out front. Looking to grab an Italian dinner while in the Bay area? How does the Gold Spike sound? 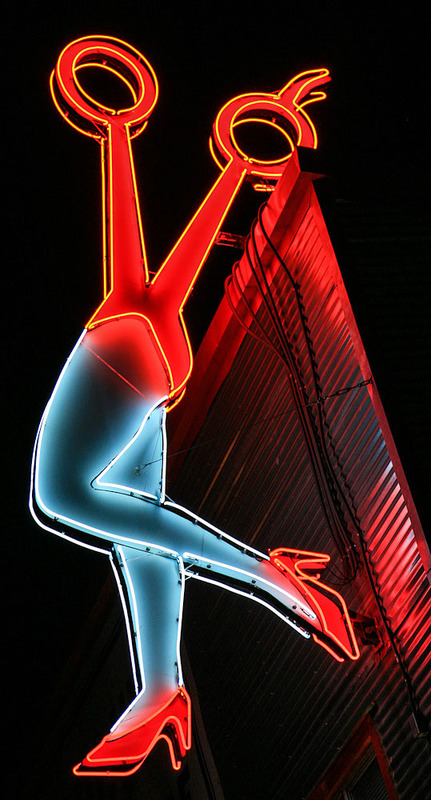 Though the name may not sound Italian, at least the neon marquee outside looks like a spike and lights up to boot. 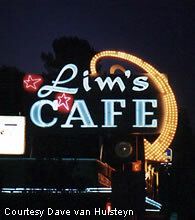 Check out this neon shot of the Hollywood Cafe marquee. 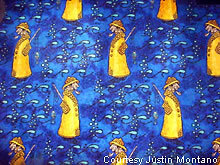 With a name like this, its not hard to imagine that the imagery of fishermen abounds. 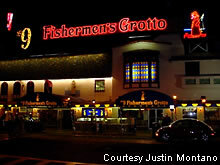 The Fisherman's Grotto #9 is located along San Francisco's Fisherman's Wharf area. 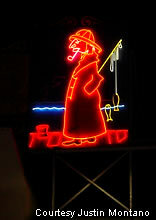 Sometimes bustling at night, this area serves up chowder, crab, and other seafood delights to visitors and locals alike. 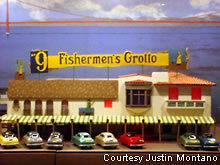 To the near left is an image of the Fisherman's Grotto as seen from a working model. 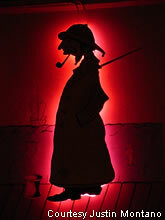 This model is still representative of what the real life model looks like.